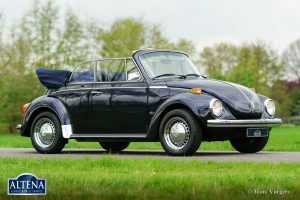 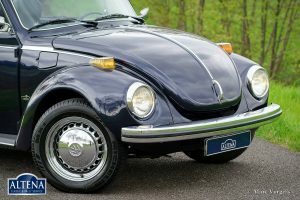 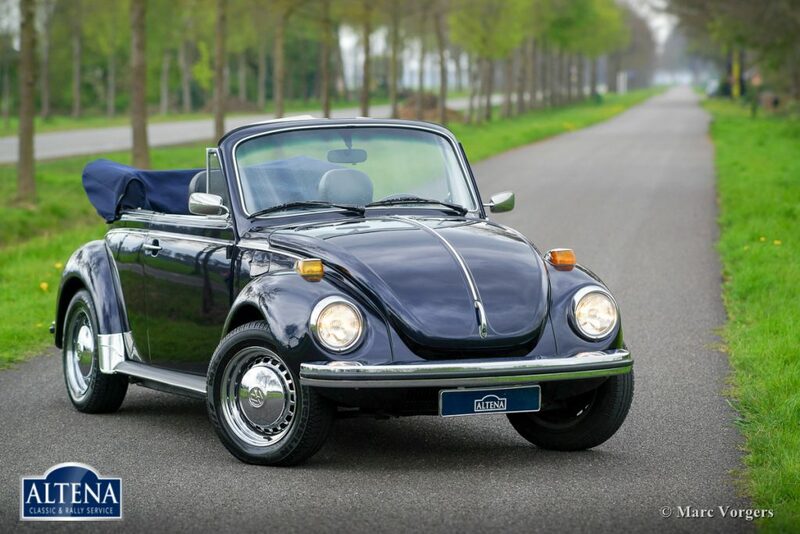 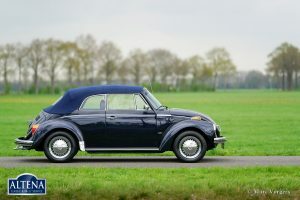 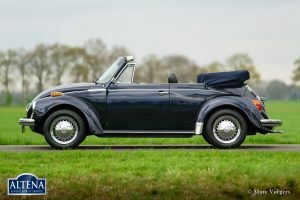 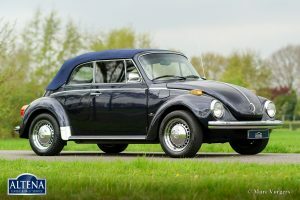 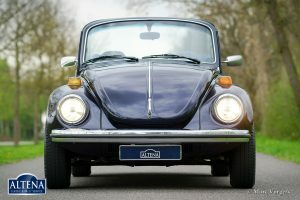 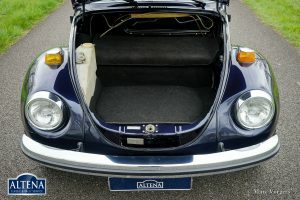 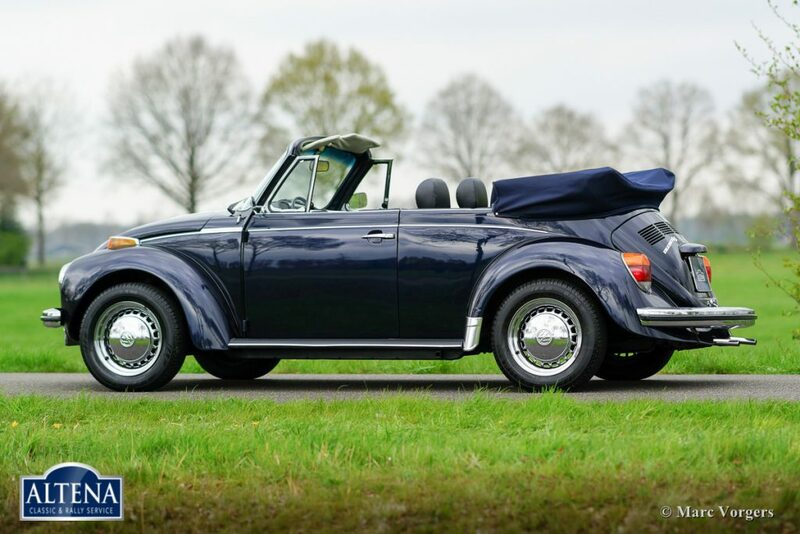 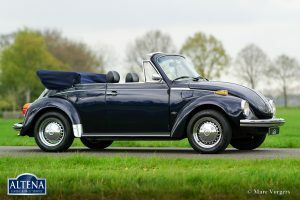 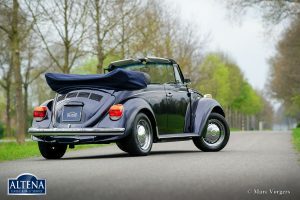 Volkswagen ‘Beetle’ 1303 LS cabriolet, year 1973. 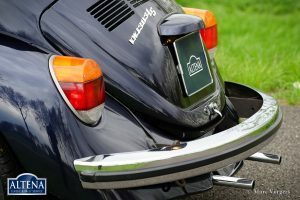 Chassis number: 15329117XX. 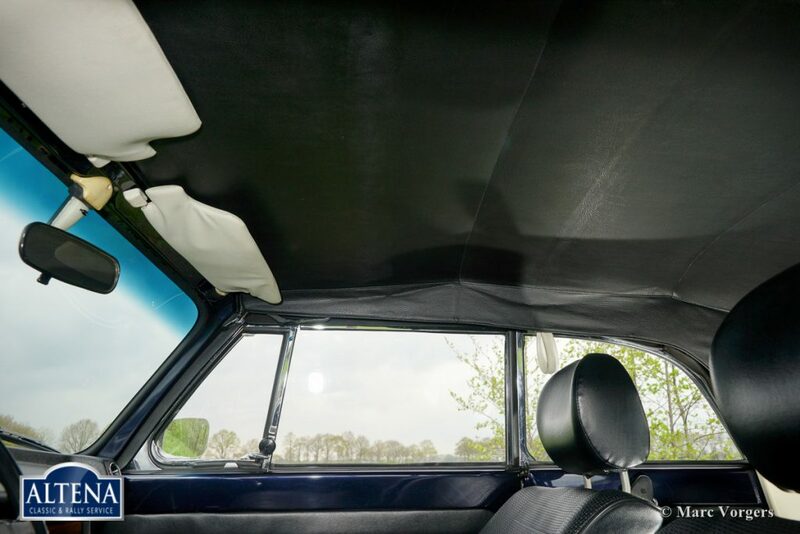 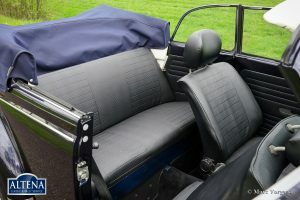 Colour dark blue metallic with a black leatherette interior and black carpet. Blue mohair hood and hood-cover. 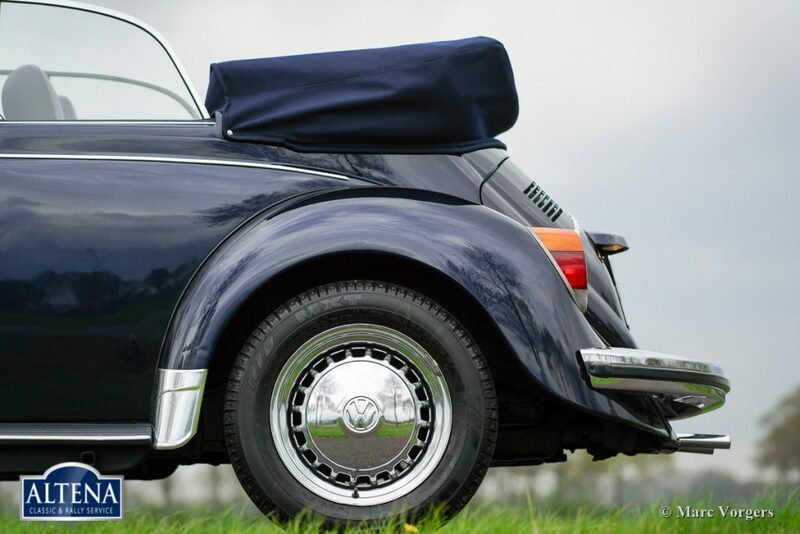 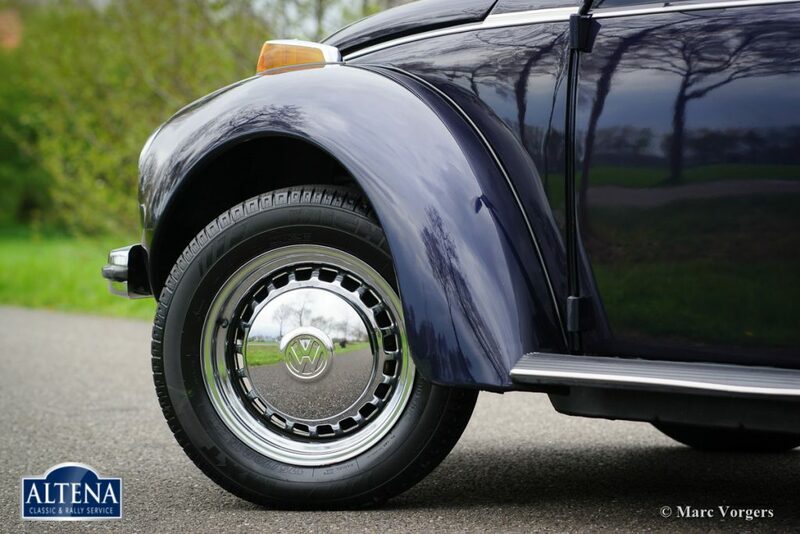 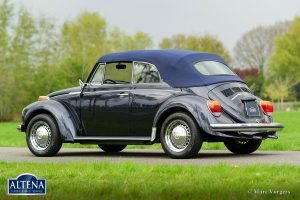 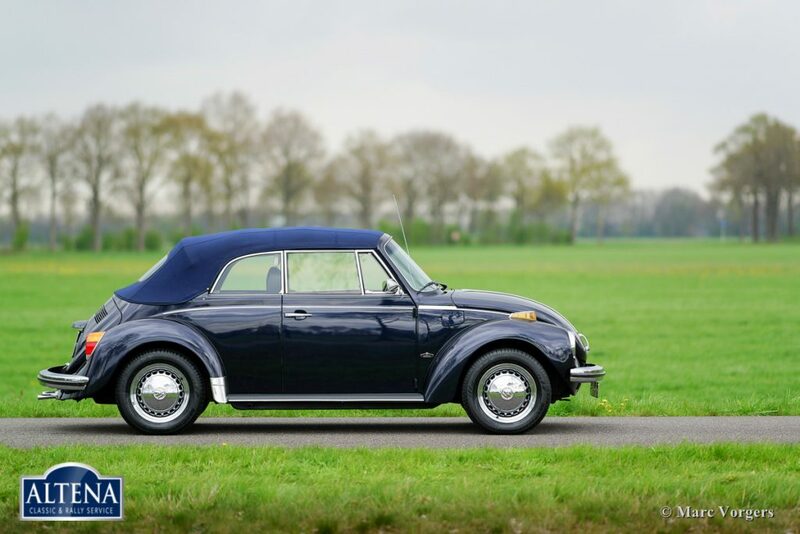 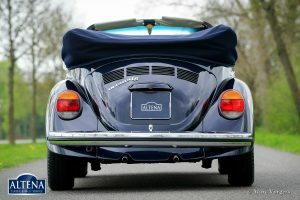 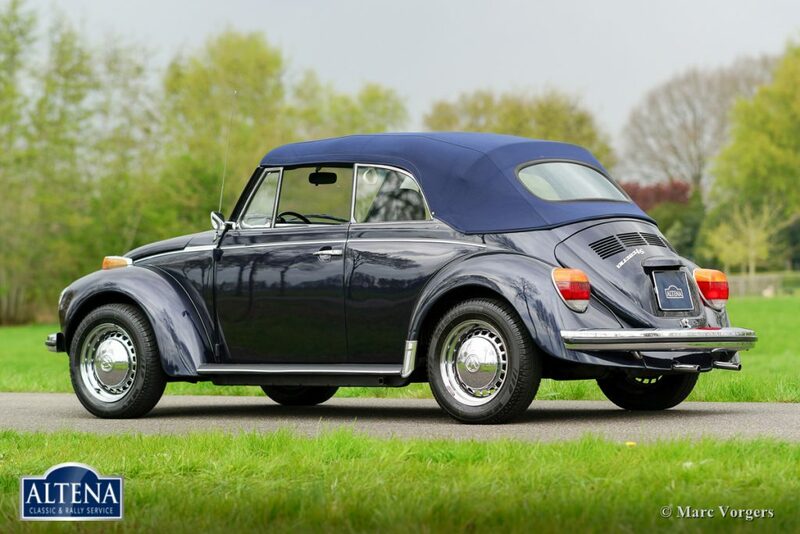 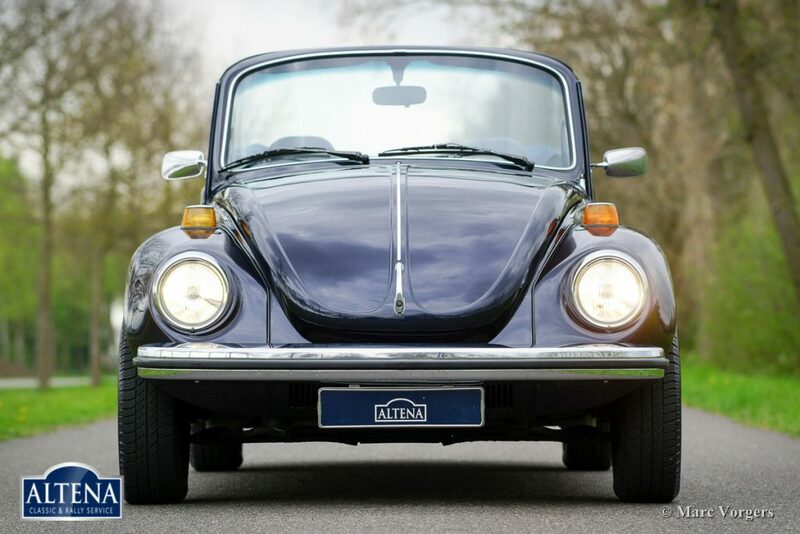 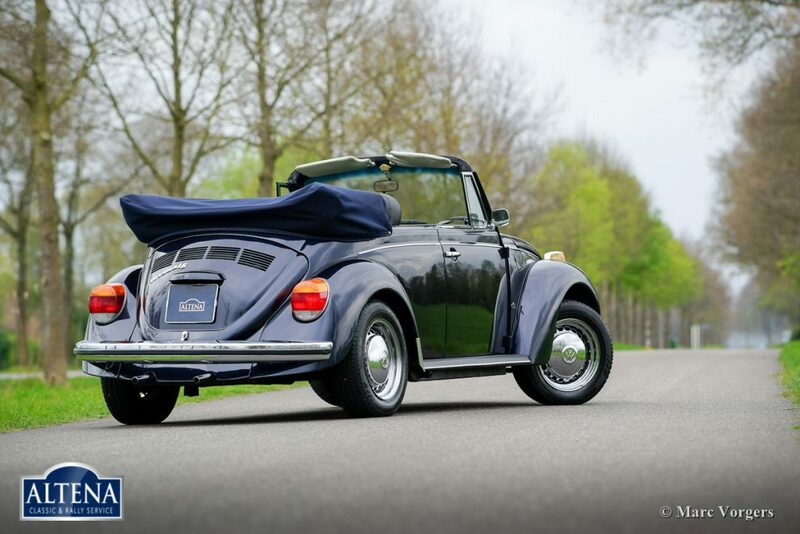 This wonderful classic VW ‘Beetle’ was restored in the past. 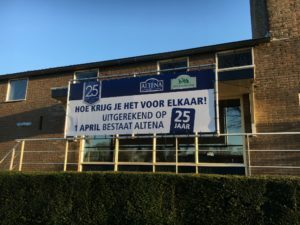 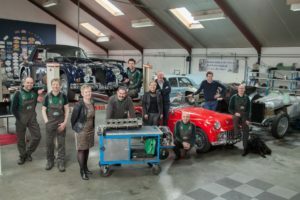 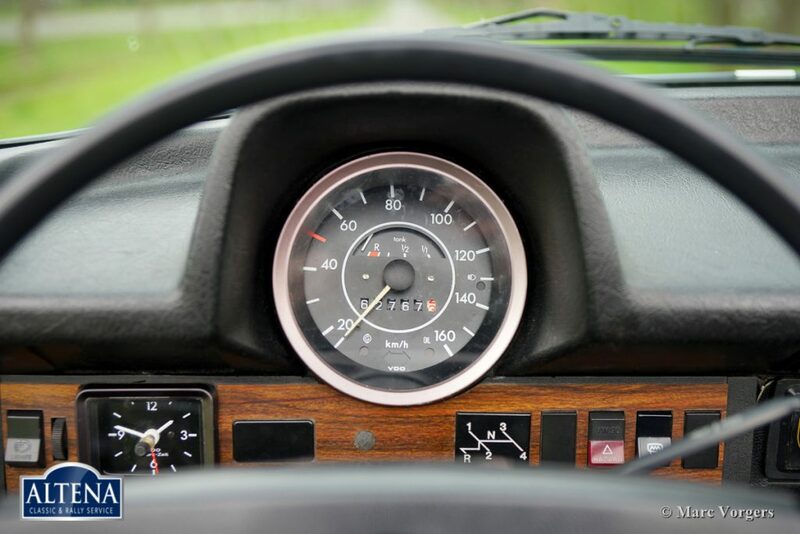 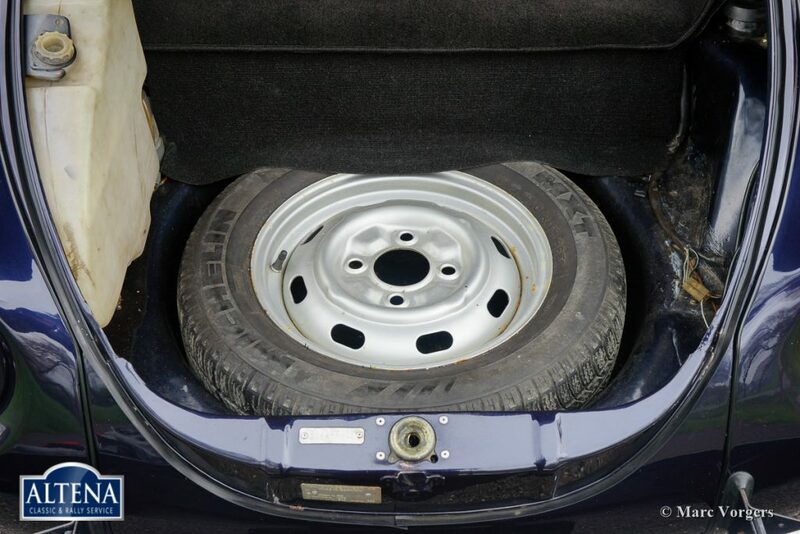 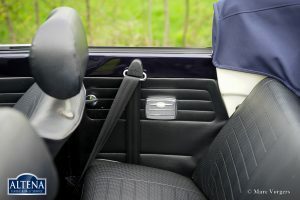 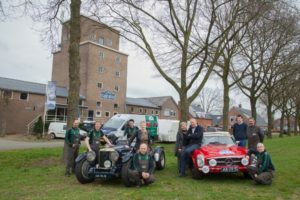 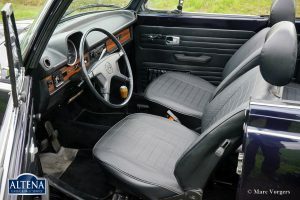 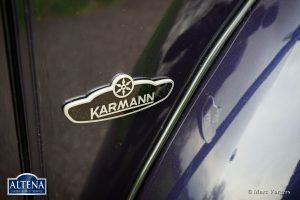 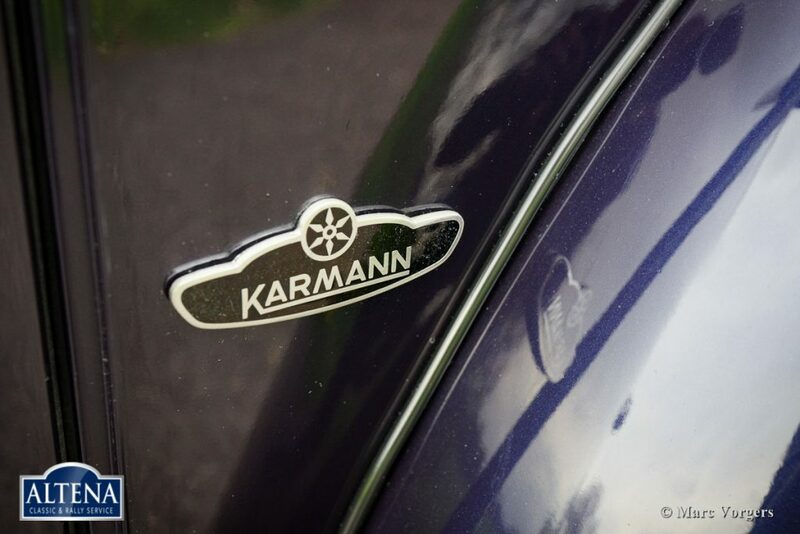 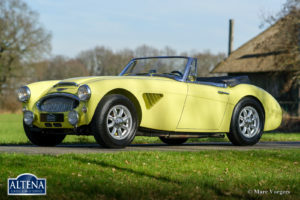 In 2007, the car was imported to the Netherlands. 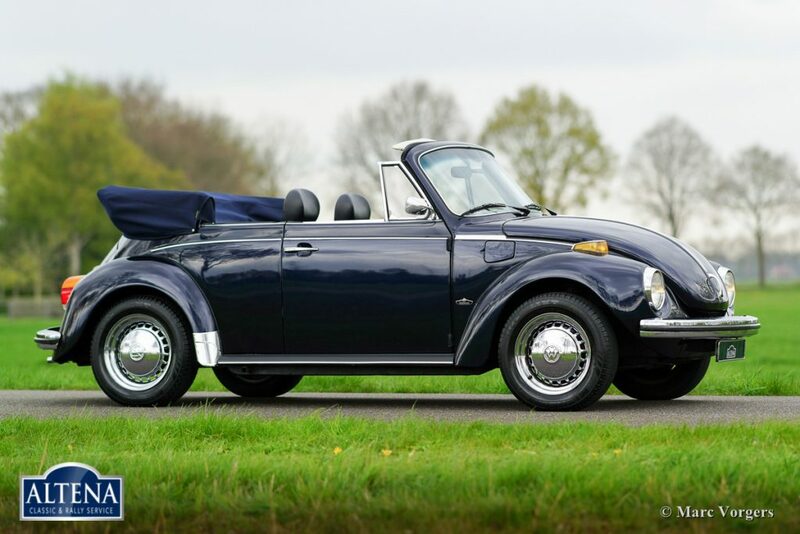 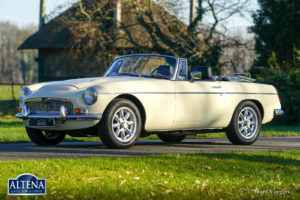 This beautiful convertible is in very good to excellent condition and the car drives perfectly. 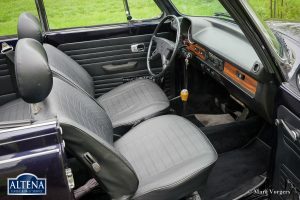 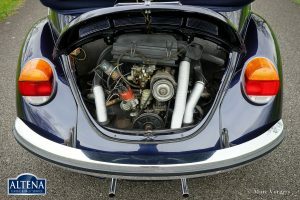 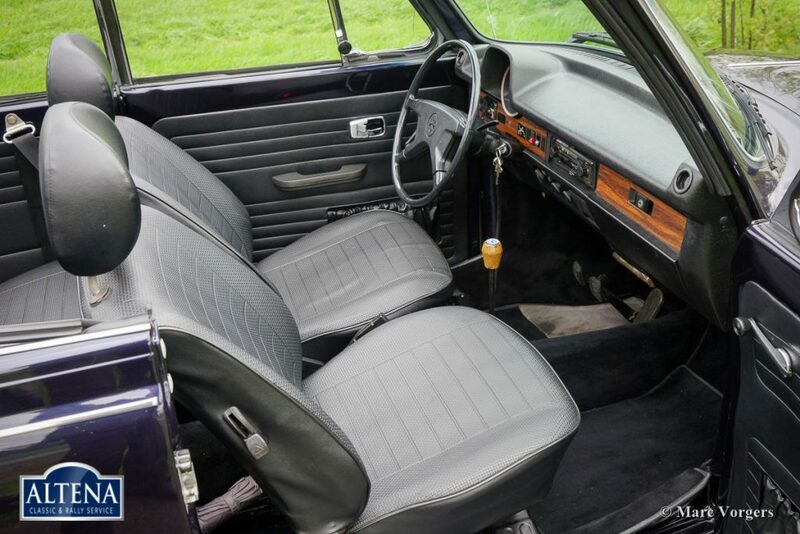 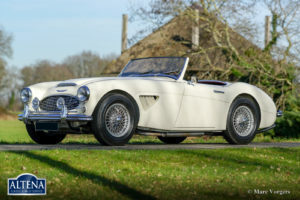 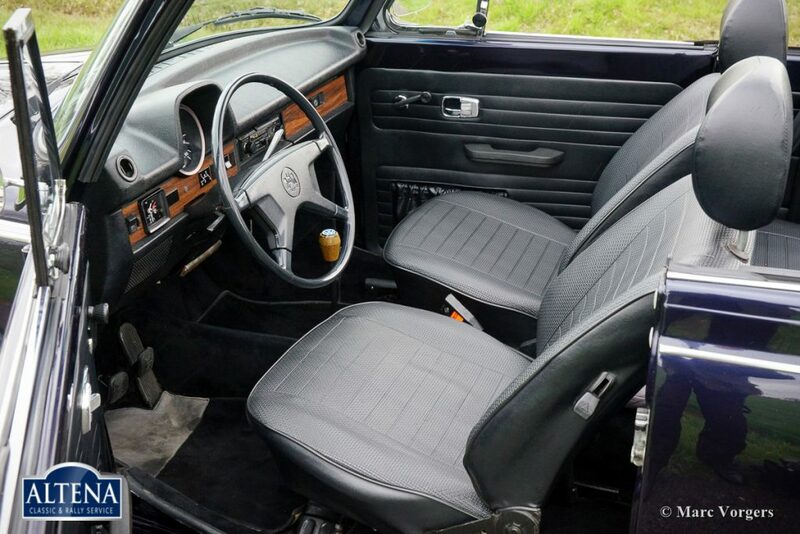 The car features a 1583 cc. 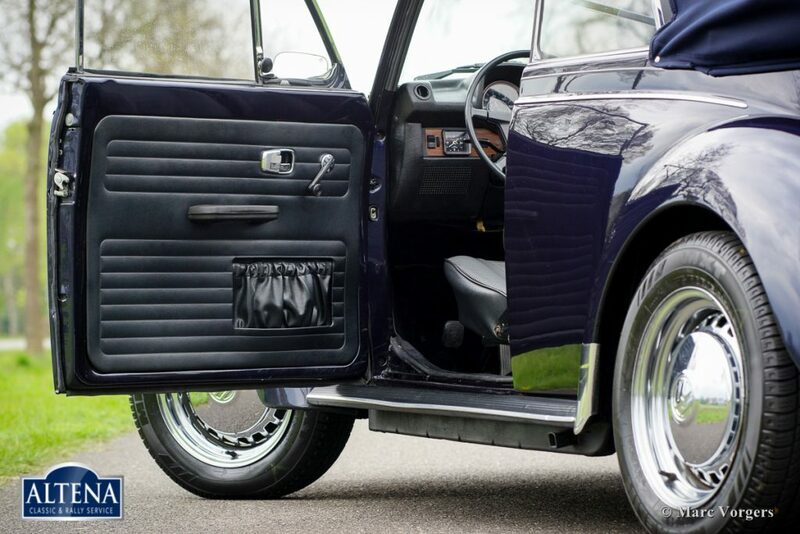 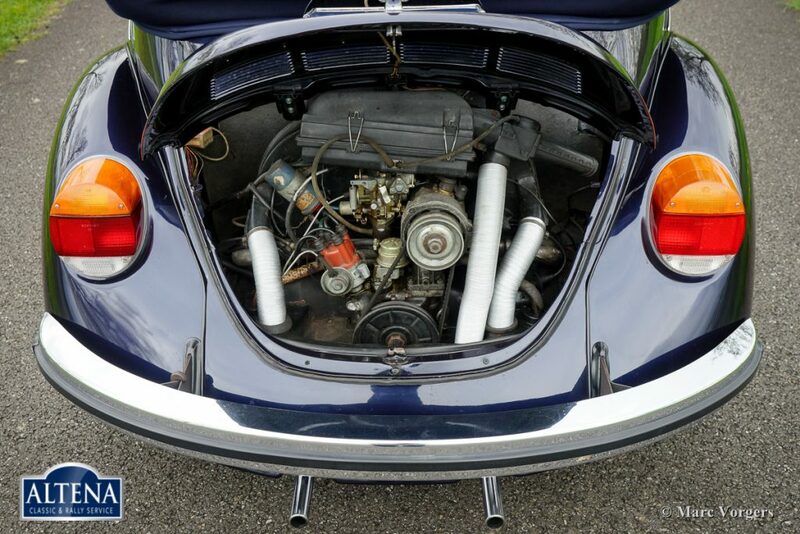 air-cooled boxer-engine and 15-inch chromed disc wheels. 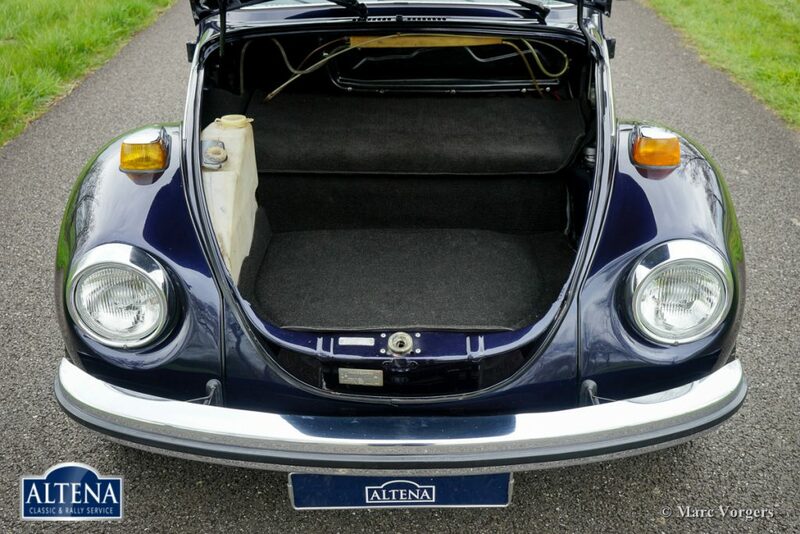 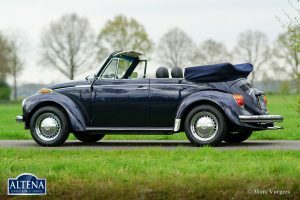 This is a delightful four passenger VW cabriolet!